The key principles behind Let’s Encrypt are: Free: Anyone who owns a domain name can use Let’s Encrypt to obtain a trusted certificate at zero cost. Automatic: Software running on a web server can interact with Let’s Encrypt to painlessly obtain a certificate, securely configure it for use, and automatically take care of renewal. 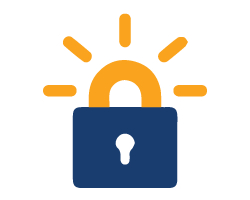 Secure: Let’s Encrypt will serve as a platform for advancing TLS security best practices, both on the CA side and by helping site operators properly secure their servers. Transparent: All certificates issued or revoked will be publicly recorded and available for anyone to inspect. Open: The automatic issuance and renewal protocol will be published as an open standard that others can adopt. Cooperative: Much like the underlying Internet protocols themselves, Let’s Encrypt is a joint effort to benefit the community, beyond the control of any one organization. Sign up for our UK Let's Encrypt Hosting with no risk to try our excellent service start from £2.99/month! ASPHostDirectory.com offers cheap Let's Encrypt Hosting to all our new and existing UK customers. You can try our services before buy it. Get FREE 7 days Trial Hosting with us. There's no obligation to buy — you can upgrade to a more robust account or cancel at any time. No risk anymore, why wait longer?